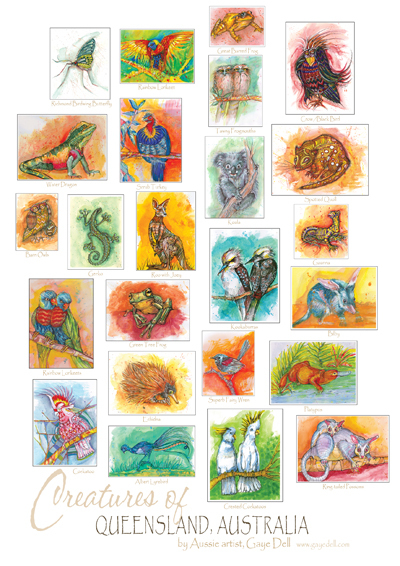 A group of Australian animals found in Queensland (and sometimes in other places) beautifully illustrated and labelled. They are bright and cheery and add a lovely accent to any décor. The poster is sized at A3 and printed on 300gsm, superior card stock.